According to the U.S. Department of Energy, the average spending for utilities for an American household is $2,060. 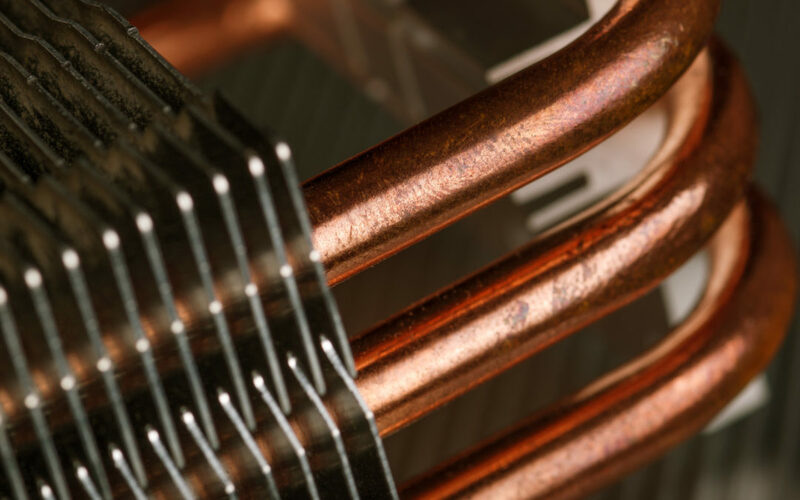 Without high-efficiency heating and cooling, the cost could be even higher. As responsible Americans, we not only want to think about the money we’re putting out every month but also the impact on our planet. Continue reading this article to learn the many benefits of heating and cooling your home with high-efficiency equipment. All forms of electricity generation have an effect on the environment. The more efficient you are with energy, the less negative impact you’ll have on the environment. We’ve touched on the environmental benefits, but having a little more information on how much of an impact will help you understand just how much of an impact lowering your energy use can have. When you use less energy, you reduce your carbon footprint. Using less energy means you’re using less of earth’s natural resources. As you save energy think about the future, you’re preserving for future generations. If your system is old and outdated, your air quality is not as good as it could be. As the older unit develops cracks in the heater exchanges, there is a greater chance of carbon monoxide entering the home. Make sure to have a carbon monoxide detector in your house since carbon monoxide is odorless. Even if you’re cleaning your air filters regularly, having a new system will help with cleaner air. You should keep up with your air filter cleaning for the best results. None of us want to pay more for energy than we need to and using a high-efficiency system will allow us to keep more cash in our pockets. Older models of heating and cooling systems need more energy to run. If your system is five, ten or even fifteen years old, you’re likely to make up your cost for replacement quickly. Your unit won’t run as frequently if it is new and working more efficiently. Less running time equals less cash burning on time. Are you tired of a loud unit that disrupts your peace? Instead of having an older louder unit, replacing your unit with a high-efficiency unit will allow you to experience less noise pollution. While you may get used to the noise, it is still there, and when it decreases, you’ll notice. If you’re thinking about selling your home, this is a good investment to up the home value. People often don’t want to take on projects and upgrades themselves. If your home is already set with a high-efficiency set up, they are more likely to get on board with buying your home. Depending on where your home is located and the climate there, the home value will be affected more or less. If the heating or cooling system doesn’t have to run much because you’re in a moderate climate, it might not make that much of a difference. On the other hand, if you’re in a climate that is very hot or very cold, it can make a major difference. While it might not have been imaginable in the past that we could remotely access our heating and cooling systems, it is becoming much more common. Being able to access your heating and cooling system remotely means you can turn up the heat if you’re coming home early on a chilly night. Maybe you thought you’d be gone all day, so you left the temperate be warmer in the summer months – turn it down remotely! If you’re using old equipment and systems in your home, they are more likely to cause electrical issues. Upgrading your equipment will keep your home and your family safer from electrical issues. Electrical issues may lead to fires and other dangerous situations that you can often prevent. Are you tired of dealing with a picky thermostat? You can’t quite figure out how to get the temperature just right. When you upgrade your system, you’ll be able to have more control and get the comfort that you want from your home. There are now smart HVAC systems. With smart HVAC systems, you’ll be able to control a specific room’s temperature much easier than without the smart system. Traditional systems only allow you to test air where the thermostat and temperature control panel is. Being able to control the temperature in multiple rooms can be helpful for a multitude of reasons. One of the reasons multiroom temperature control is helpful is because you might not use all the rooms in your home regularly. If you don’t use a specific room very much, you might opt to stop using the heating and cooling in that room until needed. This step alone can save a great deal of energy and help decrease your bill. Making the decision to upgrade your system can be a big one. You’re weighing the pros and cons. Understanding the benefits makes the decision easier, but there is still the matter of putting out the money to make the purchase of the system. You may also be thinking about the time you’ll have people working in your home. We understand that upgrading your home equipment can be a challenging time. We work to make the experience as painless and noninvasive as possible. As you’re looking at the benefits vs. the temporary discomfort in finances and having a team in your home, you’ll likely notice that the long-term benefits outweigh the short-term drawbacks. Ready to Save Money and the Environment? Now you understand more about high-efficiency heating and cooling. With this new understanding, it is likely you want to start experiencing these benefits for yourself. Request service from us today through our website and let us help you start saving money and the environment.